The streaming revolution is clearly going strong, and today it’s getting another player in the game. 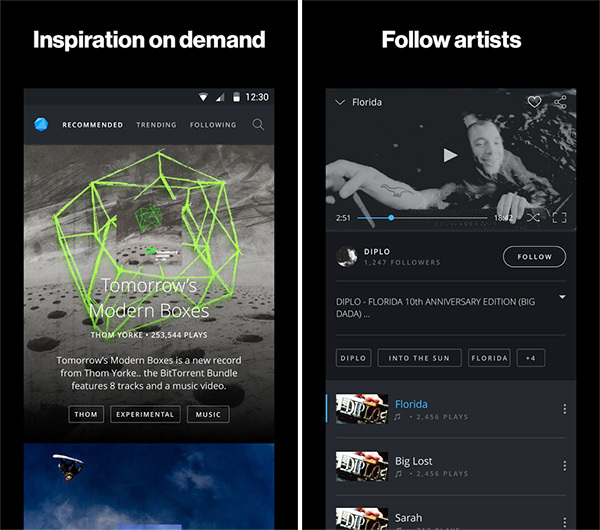 BitTorrent has announced its new BitTorrent Now platform available on the web and Android, with apps for iPhone, iPad and Apple TV coming soon. The service will facilitate the streaming of videos and music from a collection of independent artist, filmmakers and creative. 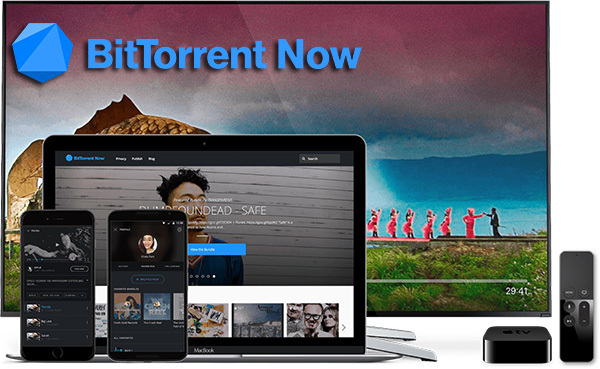 Thankfully, the new BitTorrent Now platform has a core focus on on-demand streaming of content rather than thrusting a ton of illegal and copyrighted content into the face of the user. From an app and streaming perspective, BitTorrent isn’t actually reinventing the wheel here or doing anything revolutionary. The service acts and functions like any other streaming platform that users may have come across in the sense that it serves up a curated collection of streams to choose from, but interestingly, no peer-to-peer technology has been employed in this case. As you might expect, these streams are across different genres and categories, and feature content from a variety of generally unknown artists who are unable, or unwilling to publish their content on more well-adopted streaming platforms. This is BitTorrent Now: a platform that’s powered by awesome people like you. This is last record store; live from your TV, from your phone, from San Francisco, to Moscow, to Sao Paulo. And this is distribution built by and for creators; the Internet’s original, and outside, voices. It’s extremely interesting to see what BitTorrent is trying to do with the launch of this platform. It has become an automatic reaction to associate torrents with the illegal downloading and streaming of media that hasn’t been provided for distribution by its copyright holders. BitTorrent is clearly trying to parse its reputation of that tag by introducing a platform that now only offers entirely legal content, but also compensates the owners. The app is available now for Android, and coming soon to iPhone, iPad, and Apple TV.